"Yellow Submarine" is a song sung by The Beatles and was included in their 1966 album "Revolver". Later it became the title song of animated film, also entitled "Yellow Submarine" made in 1968 by United Artists. It has since become a popular Nursery Rhyme also. 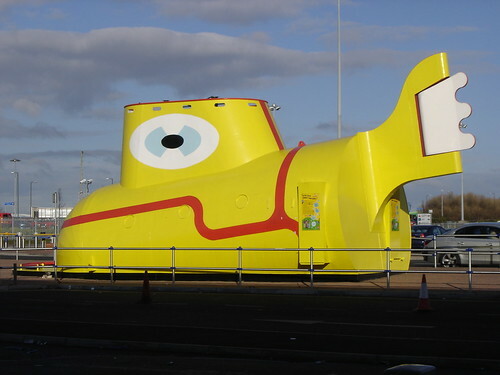 In 1984 a group of apprentices from Cammell Laird's shipyard, Liverpool built a large model of yellow submarine for an exhibition at the International Garden Festival in Liverpool and it was placed in garden themed around The Beatles. 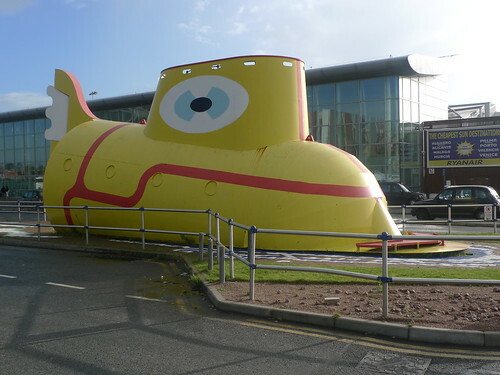 After the conclusion of the Festival the submarine was displayed for several years at the Chavasse Park, Liverpool. Due to lack of maintenance it started to decay and was removed to some storage yard. 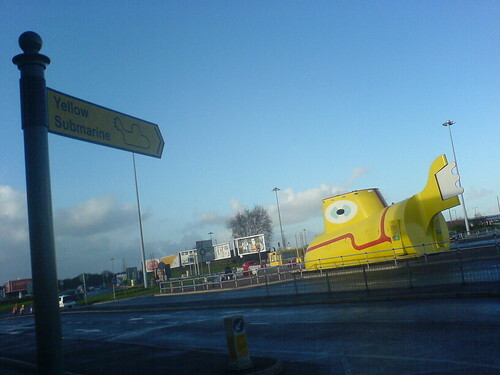 In 2005 the submarine was renovated and placed at the entrance to the John Lennon Airport, Liverpool, where it is a very curious and attractive sight to all the visitors to the town. Built of steel, the submarine is 51 feet (15.62 metres) long, 15 feet (4.57 metres) high and weighs 18 tons.